This disclaimer document governs your use of our informational website. By using the website located at https://stoneycreekeyecare.com and it’s subdirectories, you agree to, and accept this disclaimer in full. If you disagree with any part of this disclaimer, do not use our website, as that condition prohibits you from doing so. Stoney Creek Eye Care reserves the right to modify these terms at any time, and thus, you should check for changes before proceeding to utilize the services and content of Stoney Creek Eye Care. By using this site after changes have been made to this document, you agree to accept those changes, whether or not you have reviewed them. All materials on this site are protected by copyright and intellectual property laws and are the property of Stoney Creek Eye Care. Unless stated otherwise, you may access and download the materials located on https://stoneycreekeyecare.com only for personal, non-commercial use. You may not reproduce this material on your personal website, blog, social network, or any other online resource. Any and all content (including user and visitor generated content) submitted either via email, comment forms, or any other page hosted at https://stoneycreekeyecare.com or its content aggregation systems becomes the property of Stoney Creek Eye Care. Stoney Creek Eye Care reserves the right to alter, remove, re-post, re-purpose, market, or trade any such content. 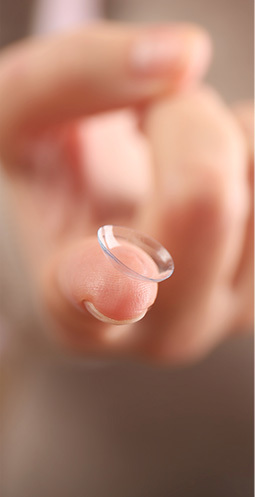 For the purposes of this condition, the term “user-generated material” shall refer to any information, content, or any other media uploaded, posted, emailed, submitted, or otherwise communicated to Stoney Creek Eye Care via any method at any page on https://stoneycreekeyecare.com or any other content communication or submission medium or forum. By sharing any contribution or user-generated content (including any text, photographs, graphics, video, audio or any other type of media or content) with Stoney Creek Eye Care (https://stoneycreekeyecare.com) you agree to grant us, free of charge, permission to use the material in any way we deem fit (including the modification, reproduction, repurposing, or deletion of it). You hereby confirm that your contribution is your own original work, is not defamatory and does not infringe upon any laws of the country from which you are utilizing this site, nor the laws of Canada or The United States of America, and that you have the full rights to accept this condition. Visitors who use this website and rely on any information do so at their own risk. This Web site and the attached documents are provided “as is” without warranty of any kind, either express or implied, including, but not limited to, the implied warranties of merchantability and fitness for a particular purpose. Information found at https://stoneycreekeyecare.com will not always be up to date and cannot necessarily be relied upon. The information is intended solely for entertainment purposes and may not be used as a substitute for professional advice and/or information, as circumstances will vary from person to person. You should not act or rely upon this information without seeking professional advice. Do not attempt any of the suggested actions, solutions, remedies, or instructions found on this website without first consulting with a qualified professional. They are not intended to be nor do they constitute actionable professional advice. Transmission of this information is not intended to create a professional-client relationship between Stoney Creek Eye Care (or it’s parent, Stoney Creek Eye Care) and you. The owners, editors, contributors, administrators, and other staff of Stoney Creek Eye Care (a Stoney Creek Eye Care web property) are not qualified professionals, and are simply aggregating information found online for entertainment purposes only. By using this website, you hereby forfeit any and all claims, past, present, and future, against the owners, editors, contributors, administrators, and other staff of Stoney Creek Eye Care (a Stoney Creek Eye Care web property). If you are under 18, please get a parent’s or guardian’s permission before taking part in any Stoney Creek Eye Care community. Never reveal any personal information about yourself or anyone else (for example, school, telephone number, your full name, home address or email address). By visiting any page at https://stoneycreekeyecare.com you understand that “adult” content may be encountered that is not suitable for children. 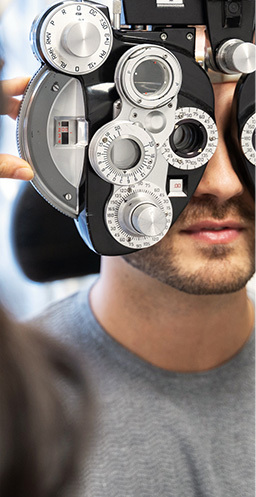 You must be at least 18 years of age or have a parent/guardian present while viewing any page or other correspondence or content from the Stoney Creek Eye Care website, (which includes all content and code from any page hosted at or within https://stoneycreekeyecare.com, or any content or code relating to or from this site that was transmitted via email or other means). Stoney Creek Eye Care (or it’s parent, Stoney Creek Eye Care) can not be held responsible for any harm that is experienced, real or perceived, from viewing, following, or contributing, of any sort of content on this site. You must not use this website in any way which is unlawful, illegal, fraudulent or harmful, or in connection with any unlawful, illegal, fraudulent or harmful purpose or activity. Some content found on the pages of Stoney Creek Eye Care within https://stoneycreekeyecare.com and its subdirectories is created by members of the public. The views expressed are theirs and unless specifically stated are not those of Stoney Creek Eye Care (or it’s parent, Stoney Creek Eye Care). We accept no responsibility for any loss or harm incurred from the use of this website or any of it’s information or content. Stoney Creek Eye Care (or it’s parent, Stoney Creek Eye Care) makes no warranty or claim that functions available on this website will be uninterrupted or error free, that defects will be corrected, or that the server that makes it available, nor the content itself is and/or will be free of viruses, bugs, or other malicious code. 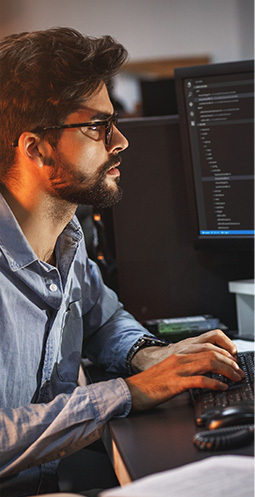 You acknowledge that it is your responsibility to implement sufficient procedures and virus checks (including anti-virus and other security checks) to satisfy your particular requirements for the accuracy of data input and output, and for the security of yourself and the device used by you to view any content from this website. Stoney Creek Eye Care, (and it’s parent, Stoney Creek Eye Care) and its officers, employees, contractors or content providers shall not be liable for any loss or damage arising from or otherwise in connection with your use of any content, information, function, or service of Stoney Creek Eye Care at any location within https://stoneycreekeyecare.com or other related location (such as content feeds, links, emails, letters, documents, and other company products or correspondence).